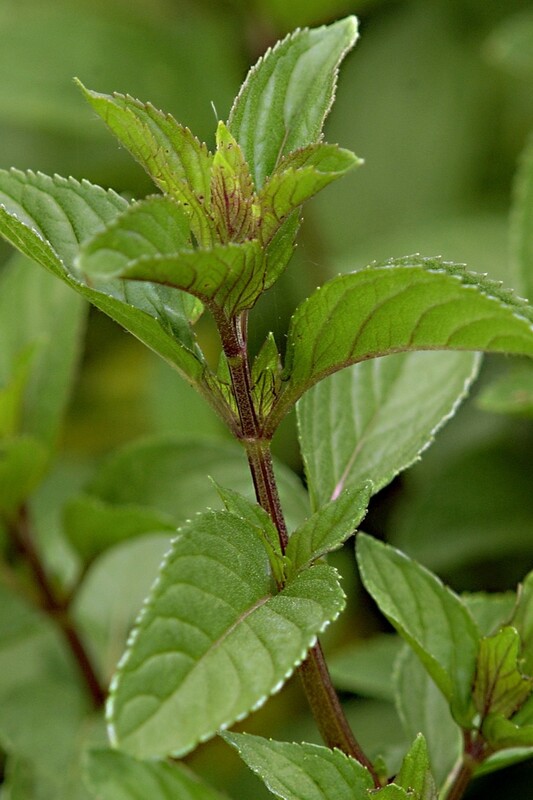 Peppermint with its high concentration of menthol is good for skin and scalp. It is commonly used in soap, shampoo and toothpaste. It is often used in skin balms to help increase the flow of blood to alleviate muscle aches. Its antiseptic and antibacterial properties help to combat skin problems such as athlete’s foot, acne, itchy skin and other skin problems. Added to creams or lotions, Peppermint improves dry, dull looking skin and helps lessen red and blotchy skin. Peppermint infusions tone and refresh the face. It regulates and normalizes oily skin and hair. Peppermint soothes, cools and invigorates the scalp and alleviates dry, flaky, itchy scalp conditions. Peppermint can help to relieve pain and inflammation, and is beneficial for poor circulation. It is used as a digestive aid, decongestant, expectorant and reliever of headache symptoms. It offers antiseptic and anti-bacterial properties. Peppermint increases alertness and supports concentration. Peppermint oil and extracts should not be used by women who are pregnant or nursing, and should not be used on young children. Peppermint Essential Oil should be diluted before use.